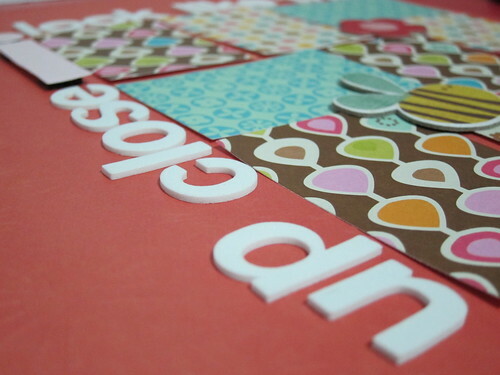 While we wait for the arrival of our precious one, I started working on Baby’s first scrapbook! 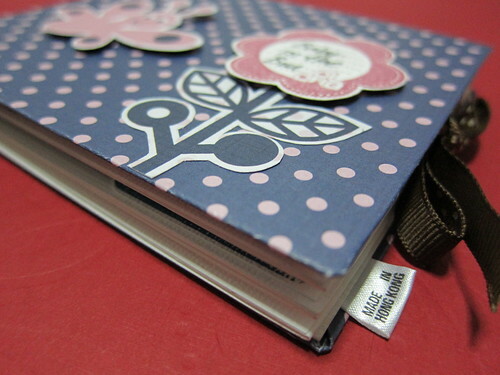 Scrapbooking has always been a part of my life since 6 years ago, but there wasn’t any strong motivation to get scrapping for awhile. 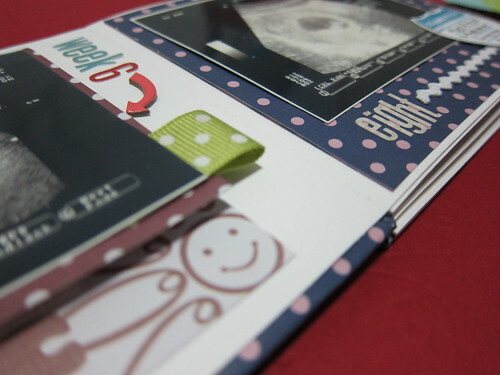 Now that we are expecting our first baby, its time I get back to this expensive, time-consuming but lovely hobby. Keeping in mind not to buy unnecessary stuff that I’ll never use. 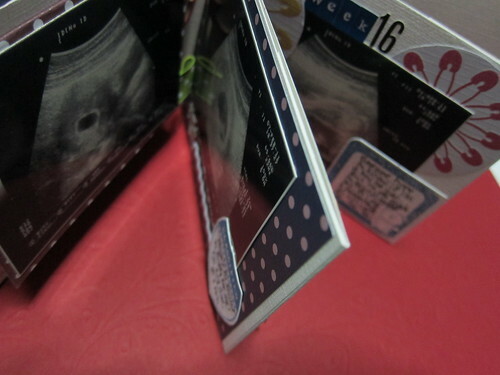 For Baby’s 1st Scrapbook, I’m working on a 12×12 album to record Baby’s growth in the first year and before birth. So far, I’ve got 2 layouts done and the scrapaholic mojo is slowly coming back to me. Ultrascan pictures aren’t the most pretty thing for a 12×12 album, so instead I’m compiling them in a mini-album which will be held on the cover page of the album. Haven’t quite done the 12×12 page yet, but the mini-album is almost 3/4 done, awaiting for couple more scans to come over the next few months. The other completed 12×12 LO is the page where I’ll be putting close-up shots of Baby’s body and features. Scrapping an album without photos can be a little tricky. You’ll need to plan the kind of photo sizes you foresee using and then visualize the shots you’ll get for the page. 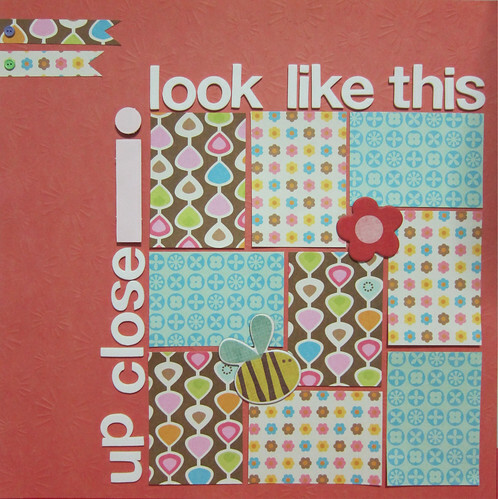 12x12 Layout - "Up Close I Look Like This"
And because photos and journaling will slowly be added in at later dates, I used very little tape glue on the photo mattes and embellishments so that I can move them around still if necessary when the photos are printed. I’ll be sharing more of the pages as they come along. Less than four months before Baby arrives, hope I can find enough time to get this album ready by then. Good that you are starting now! My baby is two and I am just finishing her first year!!! Cute layouts! !